Even without a suit, Barry Allen is still a hero despite being bars as he tries to come through to Big Sir. 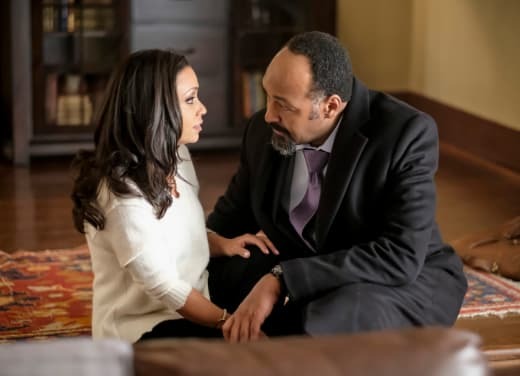 Team Flash have their hands full too on The Flash Season 4 Episode 12 with a new meta that is bound to bring nostalgia to a classic movie. I didn't know how "Honey, I Shrunk Team Flash" would play out at first. For a minute. I didn't think they would be literal with the title! But The Flash Season 4 is keeping up with its promise to be more fun. What worked so well was the fact that the metahuman tied into the A-story. The more Goldberg was on screen, the more I fell in love with Big Sir. That's why it was bittersweet that we bid him farewell at the end even though it was a victory for him. 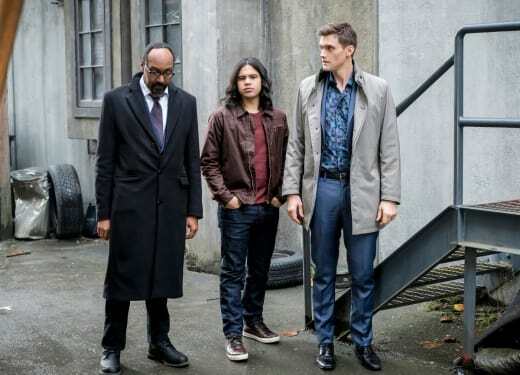 I rarely connect with the metahumans of the week on The Flash. Mostly they're forgettable, but in this case, Sylbert's geekiness was something I loved. Despite the fact that he was a criminal, he was a nerd! Maybe not the best example of a nerd, but seeing a baddie with a collection that even Cisco geeked out about was hilarious. What was even funnier was seeing shrunk versions of Cisco and Ralph. I will admit that it got to a point where "Honey, I Shrunk Team Flash" felt too ridiculous. While I appreciate the increased light-hearted tone this season, limits are still relevant. I wouldn't want them to overdo the comedic beats to the point where The Flash feels like a comedy. Was it only me who felt it was odd having Sylbert as the baddie, but not get help from The Atom? In fact, Sylbert a.k.a. Dwarfstar is one of the Atom's villains in the comic books! Technically, he was the archenemy of Ryan Choi a.k.a. the second Atom. Regardless, it was a fun villain of the week that wasn't simply for comedic effects. On the subject of comedic effects, let's talk Cecile getting powers for whatever reason. I love Cecile and her relationship with Joe, I 100% do. But this story plot had to basically tangle itself into "Honey, I Shrunk Team Flash." I do believe that it was solid that Joe and Cecile got to work more on their communication skills. Although, did this issue feel like it came out of nowhere to anyone else? Because at what point this season have these two struggled with communication? Going back to Big Sir, I thought he was getting out the legal way. I'm not sure how to feel about Barry breaking him out of prison. But with the score, the way the scene was executed, how could you not love that?! The little note from Barry was a perfect final touch for Big Sir's ending. 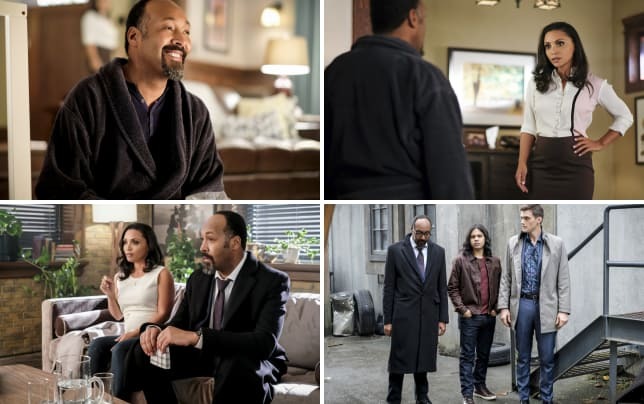 Goldberg's visit on The Flash may have been short, but it will never be forgotten. Speaking of things that will never be forgotten, let's talk about that twist! Since his first appearance on The Flash Season 4, I knew there was something up with the warden! All the shady looks from Wolve and his treatment towards Barry was leading up to this. When he made the call to his partner, I thought it was going to be DeVoe. 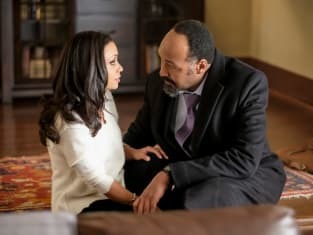 But that wouldn't make sense since DeVoe wanted Barry locked up and went through all this trouble to get him framed. It was a pleasant surprise to see that it was Amunet Black who was behind this. It also makes her arc in the season more relevant than before and allows her to play a bigger role. I have to ask what the DeVoes are up to though! Are they simply chilling or conducting their evil plans in Offscreenville? Overall, "Honey, I Shrunk Team Flash" was a powerful and entertaining hour. Despite not being in his suit, Barry continues to be a hero in prison. Even though I will miss Big Sir, I'm glad Barry got to help another innocent man. Team Flash is also getting some strong development by being able to operate without Barry. Now it is your turn to let us know what you thought of The Flash Season 4 Episode 12! DC TV Photos: Catching a Worldkiller, Dark Dinah & MORE!!! Sound off in the comments below. Will you miss Big Sir as much as we will? What did you think of Sylbert shrinking Team Flash? How was Cecile with powers? How will Barry get out of this mess that Wolve has put him in? What could Clifford and Marlize possibly be up to?! 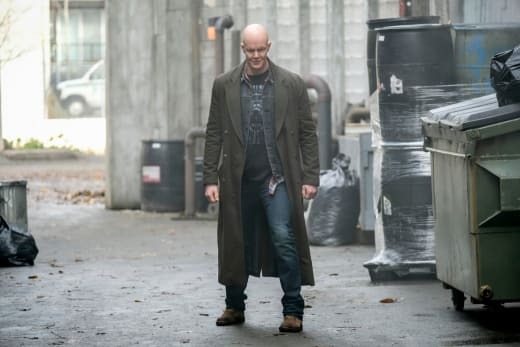 Remember you can watch The Flash online right here via TV Fanatic! Catch up with the fastest man alive! Joe: Cecile, are you sure we even need a crib? I used to plop Iris on some cushions and call it a night. Cecile: Well, I'm glad to hear you got all of your parenting mistakes out of the way with your first kid. Cecile: Why are you still thinking about Bulbasaurs?! Cisco: He is the cutest one of them all! Permalink: He is the cutest one of them all! 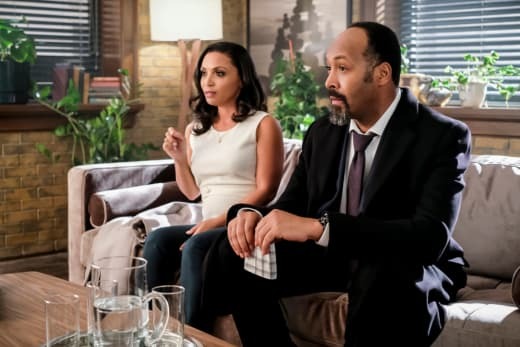 The Flash Review: Team Flash In Trouble!